Mike Cole, Vice President, became a shareholder in July of 1989, after having joined Rich & Cartmill, Inc., as an associate agent in 1984. Prior to that, he was with Employers Insurance of Wausau. He served as President and CEO of Rich & Cartmill, Inc., from 2000 to 2005. Mike’s commercial business is currently focused in the areas of energy, public school districts, manufacturing, non-profit entities and other commercial risks. Mike has served as President of the Independent Insurance Agents of Greater Tulsa and supports the Oklahoma Association of Independent Insurance Agents and is a member of the Northeastern Oklahoma Chapter of CPCU. He attended Oklahoma State University on a track scholarship and received his Bachelor of Arts degree in 1975 from OSU. He holds the designations of CPCU and CIC. 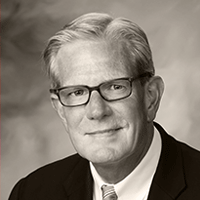 Mike is a past member of the Aetna Life & Casualty and United States Fidelity & Guaranty Company agent advisory board councils of the state of Oklahoma.